Coleman equipment stocks and sells Genuine OEM Kubota Engine Parts for your Kaeser Compressor. We have a large inventory in our Kansas City warehouse ready to ship anywhere in the United States. We have lists of common service parts to help you find what you need, or give one of our parts specialists a call today. It is best to have your engine model and serial number available when you call, in order for us to provide you the fastest and most accurate service. 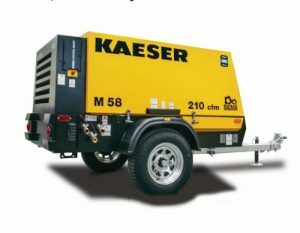 Let us equip you to keep your Kaeser Compressor running in top condition with Genuine OEM Kubota Engine Parts. We are working diligently to list the most commonly used parts for your engine in one of the lists below, but with Kubota’s extensive line of engines it will never be 100% complete. if you don’t see what you are looking for – Please give us a call and we can help you.